Hello loves! Today I will show you how to make bath bombs just like Lush sells! 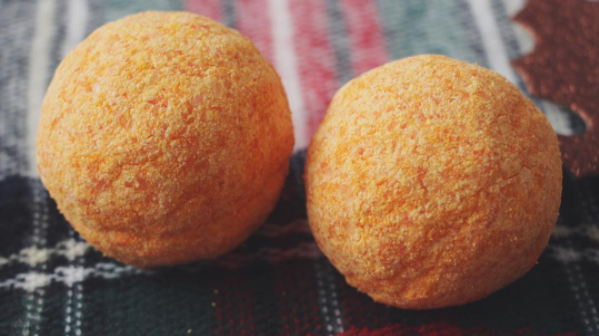 These are pumpkin spice bath bombs and they smell amazing and make your skin feel so soft! Adapted from recipe found on google search. MIX all the wet ingredients. Next, add the dry. Mix until combined. FILL each bath bomb mold with the mixture, pack tightly. Add extra bath bomb mixture and press the two molds together to form the bath bomb. Makes 2 1/2 bath bombs. Let dry for 24 hours before removing. REMOVE bath bombs from the molds and enjoy! !